In Nova Scotia the total cost of borrowing $100.00 for 14 days is $22.00. 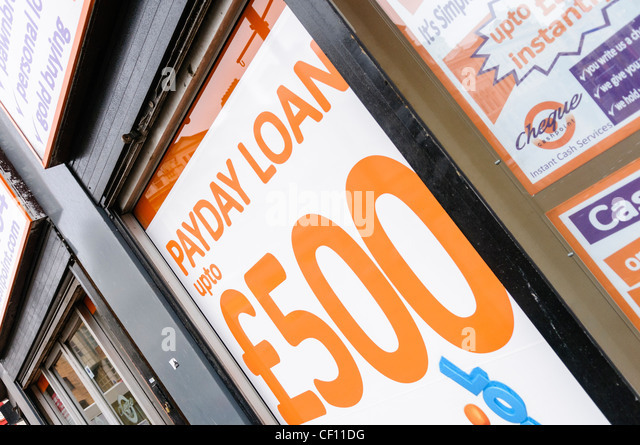 Payday Loans are High Cost Loans. Installment loans offered in select provinces. Loan principal amounts vary between $1,000 and $15,000 based upon income and other qualification requirements, including a credit check. The APR for the loans is 44.90%. Installment Loan repayment terms range from 12 to 60 months based on amount borrowed. Example: For a monthly paid customer, a $3,000 loan for 12 months originated on January 1 would have a monthly payment amount of approximately $314.88 with a disclosed cost of borrowing of $777.78 with a total payback of $3,777.78 when paid according to the terms of the loan agreement. * Please note, this is not an application for credit. Results of this calculator do not guarantee approval or loan amount. Factors such as bankruptcy, ability to pay, and actual credit history (among other factors) will impact your eligibility for a loan. Call us at 884-515-0454 to have a loan specialist answer your questions. Payday Loans are high cost loans. Loan amounts are subject to net pay and other qualification requirements. Promotional rates not available in Alberta, Manitoba, New Brunswick or Saskatchewan. British Columbia Residents: The maximum charges permitted in British Columbia for a Payday Loan is 15% of the principal. We charge $15 per $100 borrowed. On a $300 loan for 14 days, the total cost of borrowing is $45, with a total payback amount of $345 and an APR of 391.07%. $300 for $20 promotional rate - Under this offer, on a $300 loan for 14 days, the cost of borrowing is $20, with a total payback amount of $320 and an APR of 173.81%. BC Licence #50066. Manitoba Residents: In Manitoba, the maximum allowable charge for a payday loan is 17% of the principal amount of the loan. We charge $17 per each $100 loaned. On a $300 loan for 12 days, the cost of borrowing is $51, the total that must be prepaid is $351 and an APR of 517.08%. To learn more about your rights as a payday loan borrower, contact the Consumers' Protection Office at 945-3800, (800) 782-0067 or at Nova Scotia Residents: The cost of borrowing is $22.00 per $100 on a $300 loan for 14 days(573.57 % APR). $300 for $20 promotional rate - Under this offer, the cost of borrowing is $6.67 per $100 on a $300 loan for 14 days(173.81 % APR). Ontario Residents: The maximum allowable cost of borrowing per $100 borrowed in Ontario is $15. Our cost per $100 borrowed is $15. On a $300 loan for 14 days, the cost of borrowing is $45, with a total repayment amount of $345. $300 for $20 promotional rate - Under this offer, the cost of borrowing would per $100 would be $6.67 on a $300 loan for 14 days, a total cost of borrowing of $20, with a total repayment amount of $320. Saskatchewan Residents: The maximum allowable cost of borrowing under payday loan agreements in Saskatchewan is $17 per $100 borrowed. We charge $17 per each $100 borrowed. On a $300 loan for 14 days, the total cost of borrowing is $51, with a total payback amount of $351 and an APR of 443.21%. Lending decisions and funding times subject to system limitations. Opt instant funding is only available for existing Opt cardholders (sold separately), and is not available to payday loan borrowers in British Columbia. Preferred Cash Loans - champagneswines.com Cash loan payday preferredU.S. Cash Advance provides cash advance payday loans up to $500 to local Northern Kentucky residents; We also cash tax refund checks and buy back your college textbooks.,Installment loans from Maxlend are an alternative solution to payday loans. Maxlend can provide funds up to $2000! as soon as the next business day - Apply now!,Learn everything you need to know about ACE Cash Express. We offer financial help via cash advances, payday loans, prepaid cards, and more. Whether it’s an .